Search engine optimisation is the process of amending a website’s structure, content and coding alongside the transmission of compelling content via social media, blog posts, email, forums or other means to secure top rankings. The SEO process for us goes much further. Not only do we look to secure you top rankings for relevant phrases and queries, we want your business to benefit from increased traffic, customer engagement and most importantly more business. If you are considering using an SEO specialist or SEO company to optimise your website for the search engines, the earlier they are involved the better. A great time to get the SEO experts on board is when you're considering a website redesign, or planning to launch a new website. We recognise the investment made in developing a new website. If the key elements for the purpose of SEO are not factored into the foundations of a website, it can often require further investment in the future to try and build them in. However, a good search engine optimisation consultant can also help improve an existing website's search engine performance. Although the SEO industry has seen more changes in the last couple of years than ever before, the fundamental best practice techniques remain the same. At beseenonline we offer a free no obligation website SEO audit to our potential clients. This provides us with a clear path as to which elements of search engine optimisation require the most attention. Your website could have a perfect SEO friendly structure, but the content is not keyword rich or compelling or your social presence is non-exsistent, limiting your site’s chances of high search engine rankings. Our search specialists will advise on the SEO techniques you need and any structural amends required, to give your website the best possible chance of achieving top rankings. 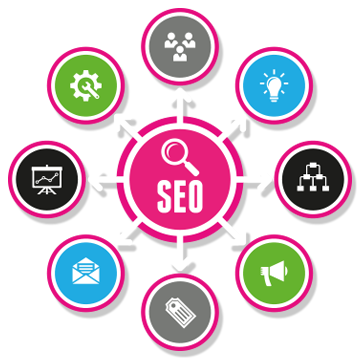 For a flat fee, we will carry out our SEO set up package and send on to you for approval before go live. A benchmark of rankings and key analytics measurables will be recorded and sent on to you for future measurement. We believe in providing our customers with the information they want in a clear and visually appealing format. If there is something in particular you would like us to add to the report, just let us know and we’ll add it. Although all the fundamental best practice guidelines for SEO still apply to mobile search, we have seen some really big changes over the past year from the search engines to adapt to the growing mobile market. According to IAB research ‘more than 50% of the UK population now use Smartphones… due to their very nature of being portable, users will typically search at different time to desktops or laptops’. Google has most certainly tuned into this emerging market and with the unveiling of Hummingbird in September 2013, has changed the face of search for the future. We are seeing techniques evolve, changing phrases to queries and focusing further on location-based search and personalised results. If you are interested in us working beseenonline you on your search marketing strategy and would like a free SEO audit of your website, please fill in our quick SEO audit form and we will be back to you soon. Alternatively, phone 01795 810820 to discuss your requirements.